Two words. Two powerful, little words. If you can get your opponent to say them, you have emerged victorious. If you are the one saying them, you are admitting defeat. Those words herald the mashing up of cards as players scoop up what they have. We've all heard them, and we've probably all said them. Some people proudly fight under a flag of "Never give up, never surrender!" Others consistently pack up their cards a turn before they're going to take the lethal blow. But there's more to it than just the words; it's more than something to say when fliers come and attack you for lethal. 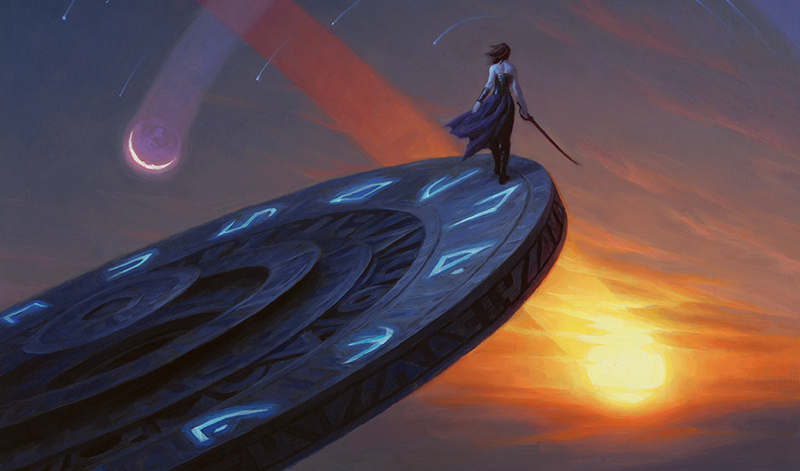 Almost everything in Magic has strategic implications—and conceding is no different. When is it right to give up? When should you keep fighting on? What might it mean either way? Let's look into this today. I have won countless games where I stuck things out through a seemingly-insurmountable position and come back to win. I have also played countless games where I won because my opponent conceded before they should have, and who knows what might have happened if they held on. In general, as a default, you shouldn't concede. There is all kind of temptation to give up in a game of Magic. Things can be frustrating: you can be light on lands, facing down a string of perfect topdecks, or just playing against Reflector Mage for the seventh time on the day. And Magic is supposed to be fun, of course, so it's a bit antithetical to keep playing when you're feeling frustrated or miserable. But, provided you are playing in a tournament setting, you need to carry on. A soccer team doesn't walk away just because they're down three goals. James Bond doesn't give up when there's a laser pointed at him. I don't stop hiking just because I fell down a volcano once. And you shouldn't be giving up, either. Let's say you're playing Game 3 of Magic in the finals of a tournament. I tell you that you have a one-percent chance to win the game. Should you concede? Even though the odds are incredibly low, the chance you can win one in a hundred times is still worth fighting for. After all, even though you have a 99% chance of losing now, you are 100% guaranteed to lose by conceding! Who knows in a game of Magic. You could always draw the perfect sequence of cards. Your opponent could just flat-out mess up. As long as there's still a chance, you should fight for it. Your opponent should have to go through the motions to actually kill you. The first PTQ I ever won, I beat a player who Mind's Desired for seven and then eleven in the same turn, a player who had me dead on board in one game and missed it, and, in the finals, someone who was playing the "hard counter" for my deck archetype. If I had conceded literally any of those games at any point, I would have been knocked out of the event. In general, the burden of proof is on you to show why it is strategically correct to concede—not why it is strategically correct to keep playing. So, with all of that said, it's pretty clear: you should never concede, right? There are occasions when it is right to concede. I have seen many people proudly declare that they never concede. And while that may be a source of pride for them, and while that may be the right perspective to start with—the perspective outlined above—there's more to it than that. Remember: the default is that you should never concede in a tournament. However, if there is a strategic reason for doing so, then you need to weigh that against the likelihood that you can win. There are three major reason to do so that I'll cover today. The first is time. A round of Magic only has so much time allotted for it. At the end of the time limit, if you're still playing, then you get a few extra turns. At the end of those turns, the player who won more games in the match will emerge victorious—and if it's tied 1-1, the game is a draw. In a Magic tournament, it is extremely important to stay conscious of not just your ability to win the game, but also your ability to win the round. You've battled over a long Game 1 in a midrange mirror match. You can see that there are currently 17 minutes left in the round. You're definitely far behind right now, and it looks like, though you can stay alive for a little while yet, it is very unlikely you will be able to win. You put your chances around five percent, at best. If you keep playing, you will most likely lose. That gives you, say, around 10–12 minutes to win two more games so you can win the match. Maybe, you will be able to pull out a single game in 12 minutes. But two games? Unlikely. This is a case where it may be correct to concede for time. Not something that comes up when playtesting at home, but is extraordinarily important at a tournament level. Now, this isn't always the case. For example, in the same exact situation except with 3 minutes left on the clock, you almost assuredly won't have time for a second game, so you might as well take your five-percent chance of winning this one. It's up to you to evaluate the time left to determine if conceding is worth it. You sit down to play a match of Modern. Your opponent is on the play. She keeps her hand. Not the same fate for you. You mulligan. You mulligan. You mulligan. And you mulligan again. You keep and scry to the bottom. Not the best start, surely. Your opening hand is Springleaf Drum, Memnite, and Mox Opal. Your opponent is on the play. They crack a Verdant Catacombs, find an Overgrown Tomb, and cast a Thoughtseize. Of course, in terms of actual game actions, there's not much you can do. It's not like you're holding a free counterspell or anything. But there is one thing you could think about doing: conceding. The odds you win this game are very, very low. It's certainly possible if your opponent has an extremely weak hand or you draw perfectly, but it's not looking great. On the flip side, some of Affinity's greatest weaknesses are the powerful cards you can sideboard in against it. Stony Silence. Ancient Grudge. Hurkyl's Recall. Many decks sport these in their sideboards. If you keep playing for just a single action more, your opponent is going to know what deck you are and sideboard in any of these cards that they have. It's going to make your Game 2 a lot harder to win—and subsequently, the match. On the other hand, if you concede, yes, you will lose this game. But you were probably going to lose anyway, and it might drastically improve your chances for Game 2...especially if you can sideboard knowing more about what deck they are! Now, this isn't always true or correct. For example, imagine your hand was something like Island, Inkmoth Nexus, Inkmoth Nexus. In this case, you may actually want to reveal your hand to try and bluff Infect! Similarly, if you are playing a deck that is hard to hate out, it's possible knowing more about your opponent's deck will benefit you more than them knowing about your deck will benefit them. This isn't just true on the first turn of the game either. It can also boil down to the individual card level. This very comes up in Limited fairly often. Let's say you have a powerful bomb rare that can completely crush your opponent if they don't know about it, like Cataclysmic Gearhulk. You've drawn it late in the game—but even if you cast it, you are probably going to lose. It may be worth better concealing that information by not casting it to save it for a later game in the match where you can blow your opponent out with it. Now, remember: it's about winning the match, not winning a specific game. It is important that, if you do concede this way, you have evaluated your chances and feel the concession gives you the better chance to win the match. I have seen people get too clever with board sweepers and concede holding them in situations where they could still easily win. So think about it, weigh the decision, and make the play you think will be most beneficial. This final one will only work against very strong players, and may or may not be effective depending on the situation. However, it is absolutely worth mentioning and keeping in mind. When you play against somebody, it's sort of like having a conversation. You see what how they play says about them and their style, and your opponent does the same for you. Each is sizing the other player up, and taking cues from what they notice. This is important to understand, and can be used to your advantage. Let's say you're playing Limited. In the first game, you know that you are dead next turn. You're facing lethal fliers. All your opponent has to do is attack with his air creatures—which he is certainly going to do—and you will perish. Now, if you run under the principle of never conceding, you'll pass the turn and let your opponent make the decision to strike you down. But let's say, for a moment, you concede here. Flash forward two games from now. You're in a similar position: you have a pair of Alpine Grizzlys on the ground that will kill your opponent next turn, but your opponent has a pair of Wind Drakes. You're at 4, he's as 8. It's been a tight race. However, if he attacks, he will kill you. But this time, you pass the turn instead of conceding. As the opponent, this sets off a danger signal. Why did he concede the last time he was in this position, but not this time? Could he have some kind of trick? Should I hold back and trade to play it safe? This is an attempt to incept an idea into your opponent's head. Even if it is a very incorrect play for them to make, there is still a chance they will make it. Now, this can be tenuous. 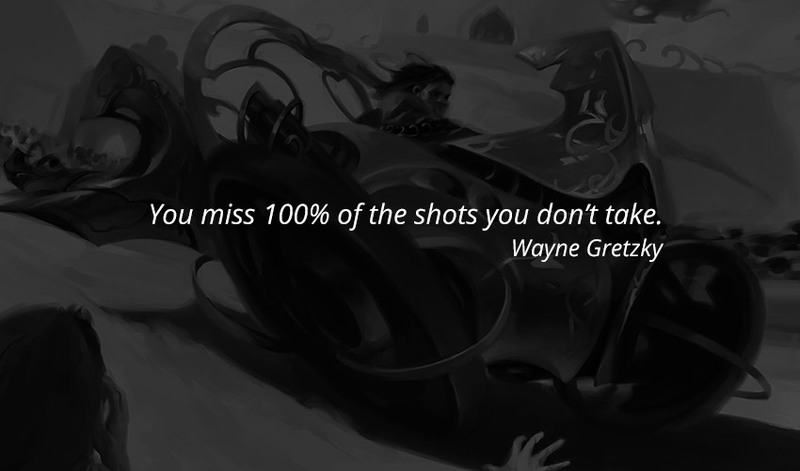 In general, you should never concede your last game anyway, since there's nothing strategic to be gained by doing so. Maybe the first time around, you were trying to preserve 30 seconds of time or something. But, by the same token, it costs you very little to do so, and may end up helping you. It's certainly one direction to keep in mind. There's a lot more than goes into a concession that what might meet the eye. And while, as mentioned above, you should almost never concede your last game in a match, in the first two games there's plenty to think about. These are three common reasons, but they aren't the only ones. Always be looking ahead to future games—or in some cases, even future matches. Sometimes your reasons could be as silly—yet important—as, "If I concede this game I'm extremely likely to lose, I'll have time to eat before my next round; considering I made bad plays because I was hungry, that might improve my chances for my next match." Maybe you won't be exchanging decklists in the Top 8, and you want to preserve your secret sideboard tech for if you face this person in the finals. But whatever your reason, if a legal concession increases your chance of winning the tournament, then you should take that option under consideration. There's plenty to think about here. Curious to ask questions, find out more, or just want to relay your thoughts across? I'd love to hear from you! To reach me, feel free to send me a tweet, ask me a question on my Tumblr, or email me in English at Beyondbasicsmagic@gmail.com. I'll talk with you again next week! Until then, may all of your concessions—in life and Magic—be for the right reasons.